This Chardonnay features delicious notes of ripe tree and stone fruit layered with hints of browned caramel, vanilla, and wood shavings. This wine pairs beautifully with pasta in cream sauce, mild cheeses and grilled chicken. The grapes for Gallo Family Vineyards Chardonnay were harvested at optimum ripeness during cool night temperatures to preserve the fresh fruit flavours. Gallo Family Vineyards is a family owned company founded in 1933 by brothers Ernest and Julio Gallo. Gallo combines four generations of winemaking expertise from the world's largest family owned winery to always bring you great‐tasting wine. 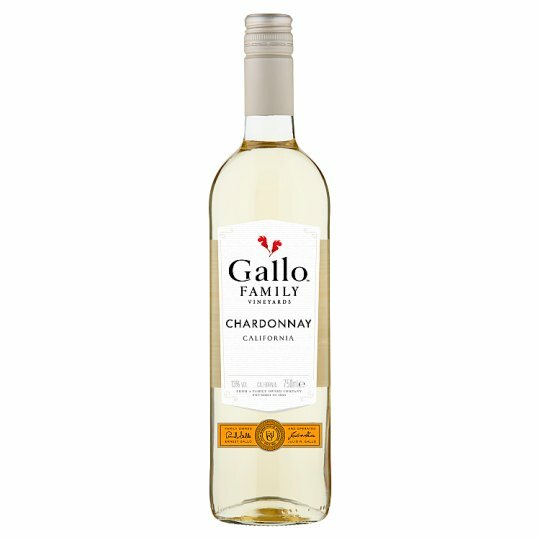 If you love wine you'll love Gallo, for all your wine moments. When it's time for wine, say Hello to Gallo. A welcomed wet winter and moderate growing season lead to balanced vine growth and open canopies which were ideal for maturing the fruit. An early bud break was followed in turn by early veraison, which gave an early start to harvest.